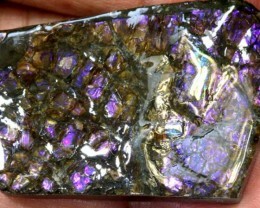 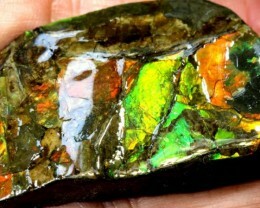 Ammolite for sale at wholesale prices. 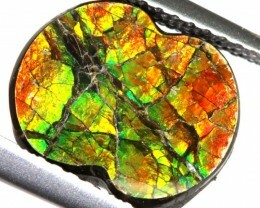 Ammolite is a unique and wonderful semi precious gemstone that is actually formed from a fossilized sea creature. 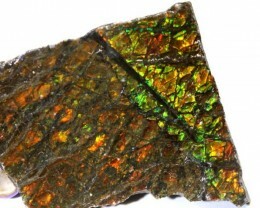 It is believed that these fossils formed over 65 million years ago and are commonly found in Canada. 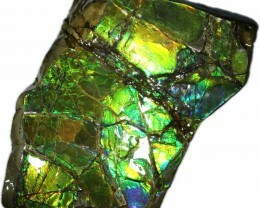 The incredible natural patterns and colour are formed from the seams and lobes on the surface which diffracts the light and create rainbow colors. 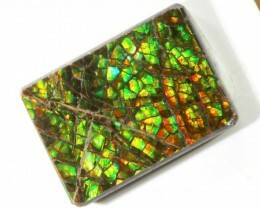 It has been likened to Opal, however the way that it creates the rainbow colors is completely different to that of opal. 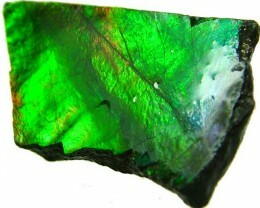 Be sure to check out the specimens as well as cut stones. 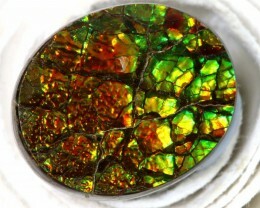 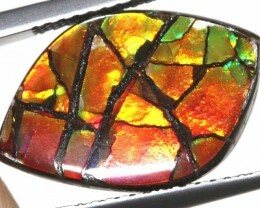 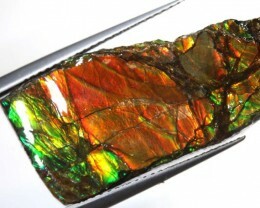 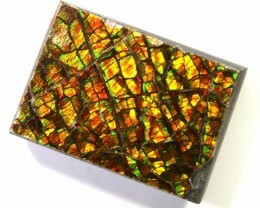 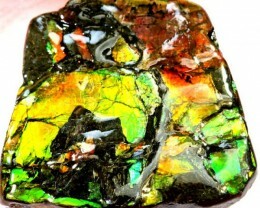 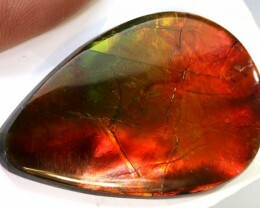 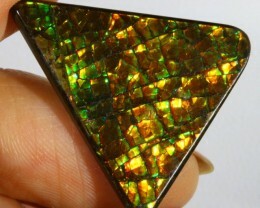 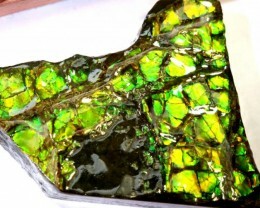 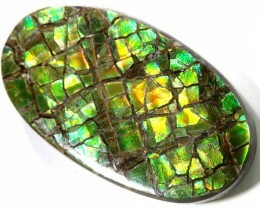 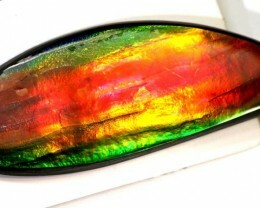 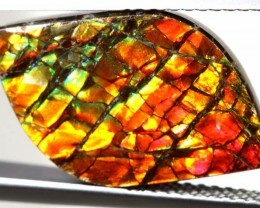 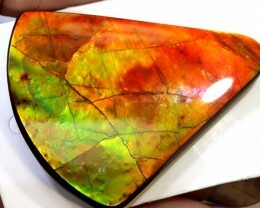 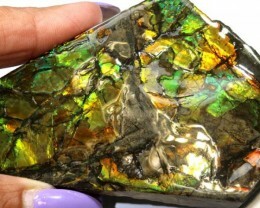 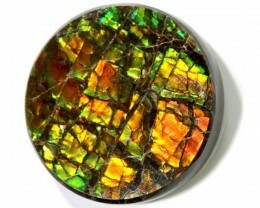 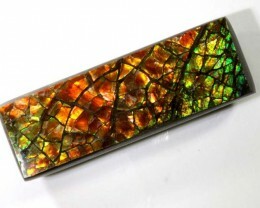 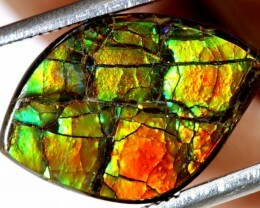 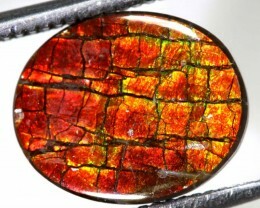 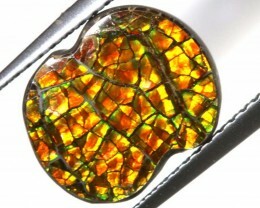 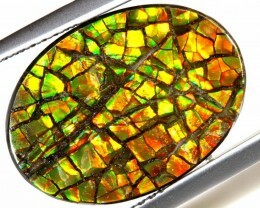 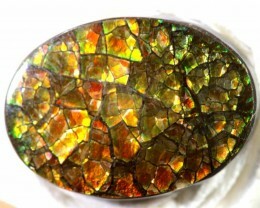 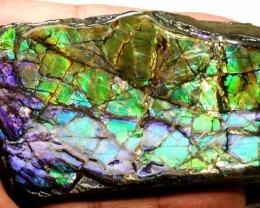 Most Ammolite will be found as a cabochon with a very flat top. 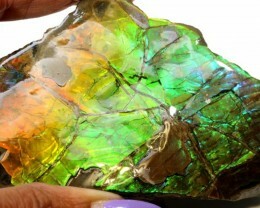 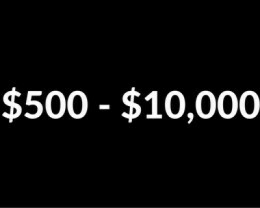 This is because of the raw material. 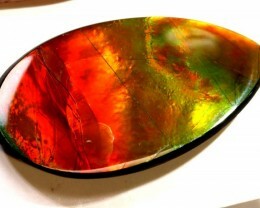 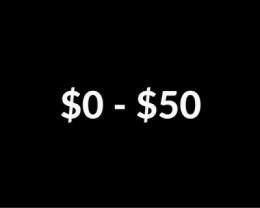 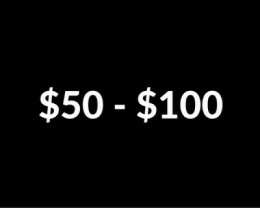 In the categories above be sure to check both the Cabochon and Gemstone section as they will both contain quality jewelry grade gemstones. 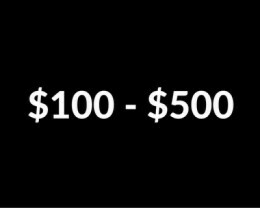 One thing to note is that doublets are not uncommon. 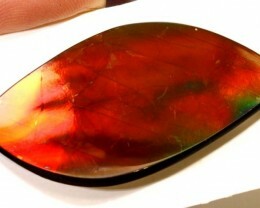 This is because it is common to find thing slithers of this gemstone which need to be glued to a backing to improve its strength. 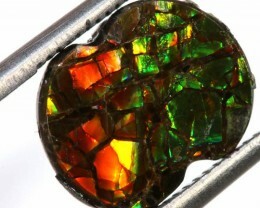 Unlike most gemstones, a doublet in this case does not mean a lesser, cheaper gem. 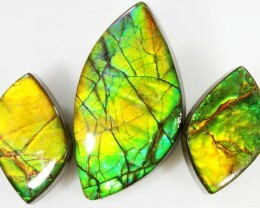 For a really unique set of earrings be sure to check out the pairs.